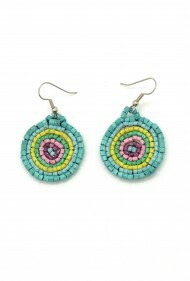 You'll look a bit retro and bohemian in these flower earrings embroidered with ceramic beads. Keep in mind each piece is handcut. Each pair will vary slightly in shape and size.